My match vs LittleBox: 609900 (Dark Charge) - just started. I just challenged Queso in a Dark Charge map with ID 610667 but after seeing the map and thinking for a while i asked him for a remake. He has two long distance units (Sniper and RL) on this very open map, i have almost no cover, which he can also blow up. He also has this beatiful MG spot in the wall there. In my first turn i would definitely lose one or two units. My only chance would be to get to the back wall of the building for cover, which he can easily blow up with a rocket. 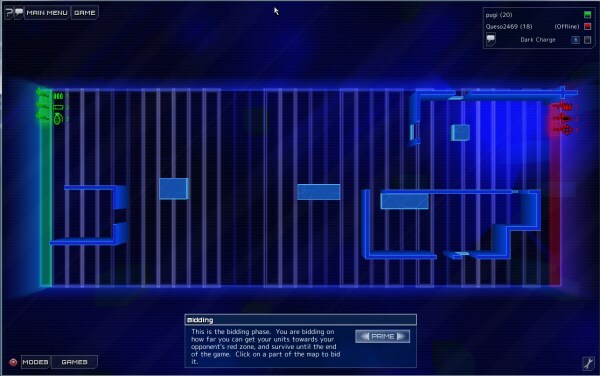 pugi wrote: I just challenged Queso in a Dark Charge map with ID 610667 but after seeing the map and thinking for a while i asked him for a remake. My match vs LittleBox: 609900 (Dark Charge) - Complete. There's a few results on Challonge now; my opponent hasn't responded to any of my messages so I guess I'll just 'win' my first match by default..? And GGCrew should enter the result on the page then, not just post about it here in the forum. The same for me, my opponent didn't give a sign. I challenged him, wrote him, no response from Vitamine. I had a feeling about this. pugi wrote: GGCrew should enter the result on the page then, not just post about it here in the forum. I would, but I am not a Challonge member; I cannot report my match results, nor upload a picture using the Challonge site. Is there some way to report the match results on Challonge that I'm just not seeing? Sadly my other computer (the one with FS installed) has died and is going in for service this week - so I will be out of action for a few days. Will let you know when I'm back! Vitamine took his turn. The game continues. I challenged my opponent, I think he took one turn, and then I never heard from him again. The same thing with my opponent. He abandoned our game.